We are sold out for 2019 memberships! We thank you all for your tremendous support and sincerely apologize to all those who were locked out so early. We are doing the best we can to grow this program to meet the demand but have to cap memberships this year at 250 so that we can deliver the best experience. Please feel free to reach out to us at saguarosociety@wrenhousebrewing.com with any feedback! Again we are humbled by the demand and the turnout for our society, thank you! 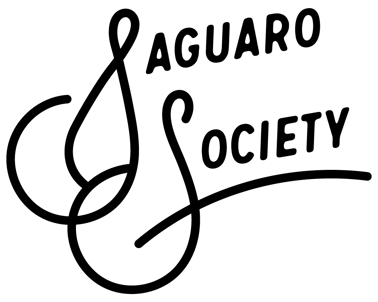 Wren House Brewing is excited to announce 2019 enrollment to our annual barrel club, The Saguaro Society! This is a really fun time of the year for us as we rack barrels and deliver end of the year beers to this year’s Society while surveying our cellar lineup for next year’s Society. For 2019, you can expect to see a slew of brand new beers and returning favorites in a wide variety of barrels including Apple Brandy, Bourbon, Rum, Mead and more! Public releases are larger quantity releases of non-barrel-aged Wren House beers in cans or bottles. This members benefit allows pre-ordering before every public release and a one week window for the member or proxy to come into the taproom to pickup their purchase. Think of this as a concierge service to give you the option to bypass release day madness. Your membership gives you unlimited 15% off draft beer and crowlers/growlers in the taproom and merchandise purchased in the taproom. This one is big if you plan on making Wren House your third space in 2019! Included in the price of membership are two special edition Society glasses and your choice of any Wren House hat or tee shirt. You can pick up and choose these items anytime after January 1 or at our Society kickoff party. Public enrollment for new members will begin Saturday December 1 at 9am. Check our social media pages for any updates. Q: Why aren't there any bottles included in the membership? A: This is a membership-for-access program that is designed to work within Arizona Liquor Law and give full control to Members to decide which releases they want to take home. Instead of rolling in the cost for beers that we choose for you, we offer a lower priced membership that lets you choose to purchase as many or as few as you want. Q: Can I purchase this membership as a gift for someone else? A: Absolutely, at checkout select the gift option and follow the prompts to enter that lucky person's information. A: Yes! We allow each member to designate a proxy for each pickup as needed. We even allow you to change proxies from time to time throughout the year. If you know who that person is, you can designate on the order form. Q: Why are you adding 50 spots to the membership? A: We have focused on our barrel program from the start and continuously work to improve quality first and quantity second. We always want to over-deliver on our commitments, so we make these decisions conservatively. We are excited to welcome a small group of new members to the Society ranks this year! Q: If bottles aren't included, what am I paying for? A: Your membership fee to covers the costs of administering the Society. That includes direct costs and labor costs behind the great experience we strive to deliver. Your support in paying this membership fee up front helps us greatly to invest in our barrel aging program to grow capacity and make more and better BA beers. Q: What beers will I be able to purchase? Discount applies to the member only. Member can use discount for yourself and one other person with you. If you have any questions about membership, email us at saguarosociety@wrenhousebrewing.com.